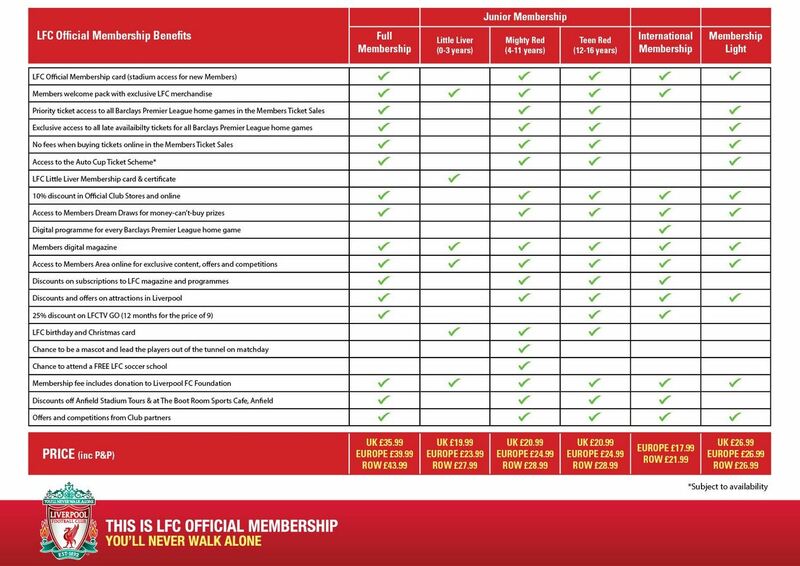 Official LFC membership for 2014-15 season. As you all know DelhiKop in its maiden year as an Official Liverpool Supporters Club grew bigger in size and stature. There were more than 700 people coming together for events on matchdays. But, it was not just quantity, we tried to deliver quality in various initiatives embraced by supporters of the best football team in the world. Even, from LFC’s perspective, we were in the top 5 Official Liverpool Supporters Clubs in the world. And we’re sure you all as integral part of DelhiKop would want to see us in top 3 or maybe at the pole position this year. The quest for that starts now as LFC has started renewing official memberships for 2014-15 season. Some of you must have already renewed the memberships. For DelhiKop to renew its Official Supporters Club Membership we need your support. We would need your membership numbers and we request more supporters to take memberships. We’ll submit DelhiKop’s application for renewal on 10th June. So, you all have around 10 days to decide and get your membership numbers and let us know on the form below. There are various types of memberships available to choose from. Below is a picture showing various benefits offered by various memberships. We at DelhiKop encourage supporters to be official members. Also, there would be special access to official members at our events in the coming season.